What is the truth and what is a lie? Is a fib a lie, is an omission a lie? And what would make you lie? To save yourself, to save a loved one? Is it okay to lie in war? 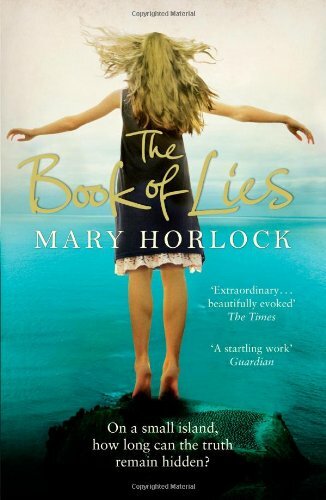 I read this book by Mary Horlock without keeping the title in my mind, but at the end I knew what the title meant. The island of Guernsey is the setting for this family story told through the eyes of two children: in 1985, Catherine is 15; in 1940, her uncle Charlie is 12. He sees the German soldiers arrive to occupy the small island; a generation later, Cat still feels the after-effects of the lies told then. More lies are being told now, the difficulty is in identifying truth from lies. Cat is central to the novel. She is an irreverent narrator who tells us not only her own story but also the history of the island and her family’s war story. She was told both stories by her father, and now that he is dead Cat wishes she had asked him more questions. Cat’s voice is a true teenager, her banter is littered with humour, insecurity, crushes, curiosity and indignation. Charlie’s story is told in flashbacks, but mostly through the transcripts of tapes made of his conversation with his brother Emile, Cat’s father’, telling the truth of what happened to him. Keep reading, the twists and turns of this family, its tricks and lies, its love and secrets, ends in a twist I didn’t see coming. Forty-five years later, the truth still hurts. Read this Evening Standard interview about how Horlock’s own adolescence on Guernsey coloured her novel.